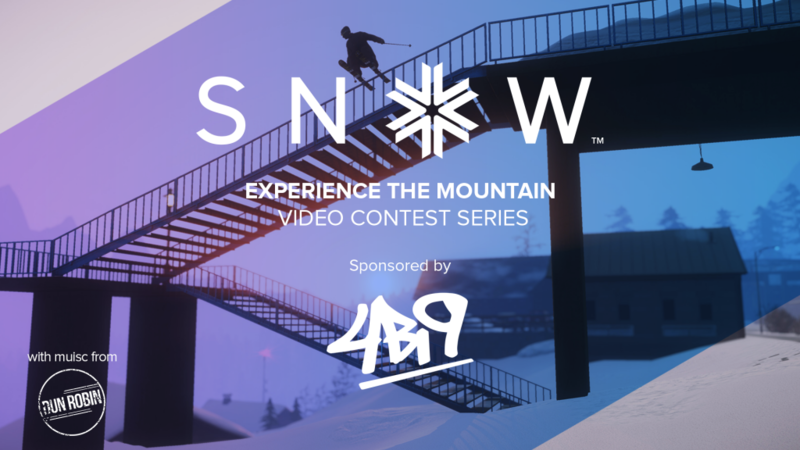 The Experience The Mountain Video Contest is back, and this time with 4bi9 as a sponsor! For those of you that aren't familiar with 4bi9, they are a well known film crew in the freeskiing world. They've produced a bunch of short edits and movies and have worked most notably with Tom Wallisch and his Good Company crew. 4bi9 are known for their freeskiing street segments, so the Experience The Mountain contest for October will be all about urban riding on skis. And not just any urban environment - this month's video contest will take place in Whiteridge! We want to see your best shots, tricks, and lines from Whiteridge - all edited together in a fast and exciting way. And for those of you that don't have Whiteridge yet, the mountain will be on sale this weekend. In addition, all players who submit an entry and include a valid Steam ID (like steamcommunity.com/id/poppermost) or PSN ID in the submission description will receive an in-game participation reward. This month's video contest is also featuring music from our friends from Dun Robin who make some awesome surf rock music that fits the gritty urban environment really well. If you saw the Whiteridge launch trailer, you'll already be familiar with them. The contest will run from Friday September 22nd until Monday October 16th, with the winners announced on Friday October 20th. Make sure to read through the rules and submit your entry via this page - don't forget to include your Steam / PSN ID in your entry to receive your participation reward. Good luck we can't wait to see what you come up with!